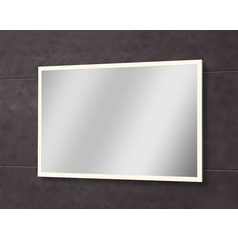 The following are detailed specifications about the Qute Rectangle 27-Inch Illuminated Mirror. 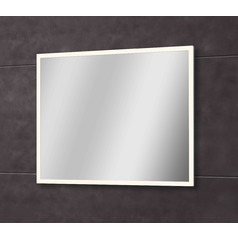 Contemporary / modern white mirror. 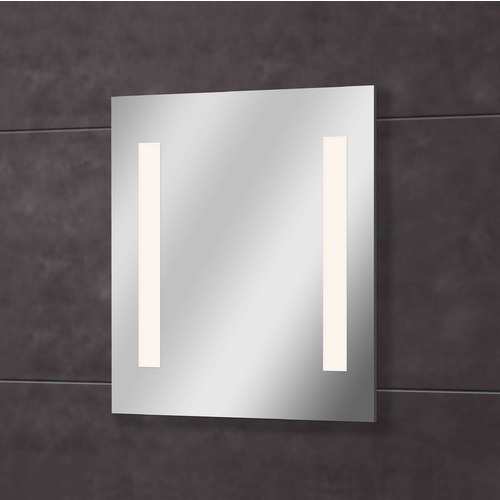 Includes an integrated LED module that runs off of 18-watts. 636 lumens; 3000K color temperature. Equivalent lumens to 40-watt incandescent bulb. Module is not dimmable. Lifetime hours: 20,000 Suitable for installation in dry and damp locations. ETL / CETL certified. This Qute Rectangle 27-Inch Illuminated Mirror is part of the Qute Collection from Design Classics Lighting. The following items are also part of the Qute Collection.